This book is edited by Birgitt Röttger-Rössler, Professor of Social and Cultural Anthropology and Director of the Collaborative Research Centre 1171 “Affective Societies: Dynamics of social coexistence in mobile worlds”at Freie Universität Berlin and Jan Slaby, Professor of Philosophy at Freie Universität Berlin. This post is by Jan Slaby. Affect epitomizes a dimension of meaning within human sociality that is not a matter of established discourse, of stable identities, institutions, cultural norms or categories, but rather something that is lived, from moment to moment, at a level of sensuous bodily reality beyond codification, consolidation or capture. Affect unfolds dynamically and relationally between actors, artifacts and within spatial arrangements of various sorts. It incessantly transgresses individual perspectives and frames of reference, including that of the autonomous subject of the liberalist tradition. As Spinoza, Nietzsche, Bergson, Deleuze and other dissenters from the Western intellectual canon knew well, affect is a matter of dynamic connection and transmission prior to – yet formative of – understanding, discourse and practice. While it might be impossible to grasp its sensuous immediacy directly, proponents of affect studies aim to cultivate a sensitivity for fleeting moments, for stirrings of the nascent, for the not-yet formed, the pre-reflective, the spectral presences prior to reflection and articulation. Such a sensitivity often deviates from disciplinary canons and from the strictures of theory. Scholars of affect are thus inclined to explore poetic and personal styles, align with the arts more than with academia, or experiment with unusual modes of articulation. Yet, their orientation has political bearings as well, as their work responds to the current conjuncture and is a continuation, under novel conditions, of earlier projects of cultural articulation and critique. Powerful approaches to affect within feminist and critical race theory crystallize the political potency and critical impact of the turn to affect. 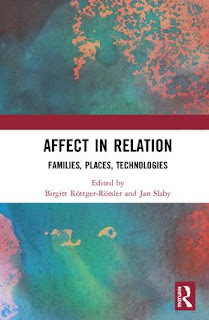 Our aim in compiling Affect in Relation is to outline a conceptually coherent perspective on relational affect responding to many lines of inquiry and areas of application that have proven fruitful. Conserving the motivating insights and perspectival plurality of the more radical strands of the turn to affect, the volume yet works towards a conceptually and methodologically more elaborated framework. The main focus is on subject formation. Against the individualist gist of 20th century mentalism we emphasize relational dynamics unfolding in situated practices and social settings. Affect is what dynamically and energetically binds human actors into shared environmental – social, material and technological – constellations. These in turn shape modalities of agency, habit and self-understanding. Affective relations thereby coalesce into subject positions, which get subsequently policed, nudged, governed – and further stabilized – within the practices of paramount institutions and social domains. Based on this, relational affect enables insights into cultural transformation, since nascent changes in institutional routines and styles of interaction register affectively before they get recognized and articulated in discourse. Relational affect is both formative of and transformative for human actors and for the practices, institutions and collectives they are involved in. While philosophy is not the main focus, the book’s perspective resonates with enactivism, with embodied and extended mind theory, with the ‘situated affectivity’ movement, and even more so with key strands of continental thought from Spinoza to Deleuze & Guattari and Foucault. The volume combines empirical case studies from social- and cultural anthropology, sociology, cultural geography, culture and media studies with theoretical contributions from these and related fields, including social philosophy. The contributors showcase the potentials of affect studies in exemplary domains, such as child-rearing and education settings, sites and practices of religious devotion, political street protests, contemporary workplaces in the knowledge and information sector, and several arrangements of networked media. The 13 chapters are connected through a set of assumptions and working concepts that are explained in the detailed introduction, written by the editors to ease readers into the field. In four thematic sections – Families, Places, Work and Media – authors then present case studies and medium-range theoretical perspectives. 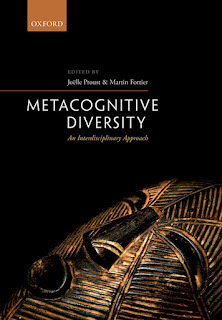 Among contributors are esteemed affect experts Marie-Luise Angerer, Lisa Blackman and Melissa Gregg, acclaimed cultural anthropologists Hans-Jörg Dilger, Maruska Svasek, Joana Pfaff-Czarnecka and up and coming junior scholars Gilbert Caluya, Omar Kasmani and Rainer Mühlhoff. 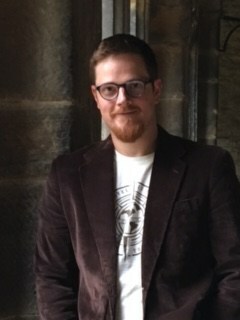 Adam Powell is a junior research fellow in theology and religion at Durham University and a core member of the 'Hearing the Voice' project, an interdisciplinary investigation of voice-hearing (auditory verbal hallucinations) funded by the Wellcome Trust. He is the author of Irenaeus, Joseph Smith, and God-Making Heresy; Hans Mol and the Sociology of Religion and numerous essays on 19th-century religious experience. Did you have a dream last night? How do you know? Was it vivid or dull? Was it real? Was it really a dream? If it was not a dream, what was it? For those who experience hypnagogic (between waking and sleeping) or hypnopompic (between sleeping and waking) hallucinations, the sense perceptions they experience in the middle of the night seem quite real. They report vivid images, felt presences, diffuse light, out-of-body experiences, and extreme emotional states like euphoria or dread. What is more, studies of prevalence estimate that 39% to 85% of the general population has such an experience at least once. As part of my research for Hearing the Voice, I have analysed 65 different primary accounts of religious experience from 19th-century America. In these accounts - spanning personal correspondence to private journal entries to published pamphlets - a pattern emerged. The authors frequently noted that their unusual experiences occurred whilst in bed at night, some explicitly claiming that they were preparing to sleep but were not yet fully asleep. One asserted that he was 'fully awake and yet [he] was not.' Others concluded that their experiences were not dreams but ‘open visions’, whilst another expressed concern the following day that perhaps it was only a 'dream of vision’ before ultimately concluding that it was a genuine 'vision'. That last observation was made by Joseph Smith, the founder of Mormonism in the aftermath of a formative supernatural experiences in which an Angel visited him in his bedroom and disclosed the location of the ancient scriptures that would become The Book of Mormon. Later, an early convert named Oliver Cowdery described the same event to friend, claiming that ‘although it was in the night, yet it was not a dream.’ Furthermore, Cowdery asserted, ‘There is no room for conjecture in this matter, and to talk of deception would be to sport with the common sense of every man who knows when he is awake, when he sees and when he does not see.’ But what, in 1835 rural America, comprised ‘common sense’? In a new essay published by The Lancet Psychiatry – Mind and Spirit: hypnagogia and religious experience – I draw on this historical research to suggest that the key to understanding such nineteenth-century religious experiences may, indeed, be to ‘sport with common sense’. The understandings of consciousness at the time relied on lingering philosophical questions about the mind and its limitations posed by early modern thinkers. Yet, relatively recent studies have explored liminal states of consciousness that challenge those earlier systems. Hypnagogia, a state of consciousness that is somewhere between wakefulness and sleep, and in which unique sensory phenomena occur, may be the solution both to the phenomena recounted by these historical texts as well as to the apparent difficulty with which the individuals classified their experiences. Indeed, the figures who experienced such extraordinary events often described them as ‘dreams’ or ‘visions’, seemingly using these terms interchangeably. Historians have taken this for granted, but what if the confused use of the terms reflects confused cognitions, or confused efforts to squeeze the experiences into inadequate categories of consciousness? What if these religious figures, like Joseph Smith, were experiencing mental states between waking ‘visions’ or sleeping ‘dreams’? And, what if ‘common sense’, here, is a product of culturally legitimated and perpetuated philosophies of mind that affect the very occurrence, classification, and interpretation of our sense experiences? These individuals, too, were asking ‘if it was not a dream, what was it?’ Hypnagogia may be the answer. This blog post is by Philip A. Goff. I am currently Associate Professor of Philosophy at Central European University in Budapest, although from next year I will take up a post at the University of Durham. My main area of interest is the problem of consciousness, the challenge of understanding how consciousness fits into our scientific picture of the world. In fact, I think that the problem has been already been solved. I believe that Bertrand Russell’s 1927 book The Analysis of Matter did for consciousness studies what Darwin’s Origin of the Species did for the life sciences. Tragically, Russell’s novel contribution to philosophy of mind was pretty much forgotten about for much of the twentieth century, although it has recently been rediscovered leading to the view that has become known as ‘Russellian monism’. The starting point of Russellian monism is that physical science tells you a lot less than you think about the nature of matter. In the public mind, physical science is on its way to giving us a complete account of the nature of space, time and matter. However, it turns out upon reflection – at least according to Russellian monism – that physical science is confined to telling us about how matter is disposed to behave and is silent on the features of matter that underlie its behavioural dispositions, generally referred to as its ‘categorical properties’. To put it simply, physics tells us what matter does not what it is. Physicalists have spent a great deal of time and energy trying to explain consciousness in terms of the dispositional properties of physical science. But according to Russellian monism, consciousness is to be explained in terms of the categorical properties of the brain. 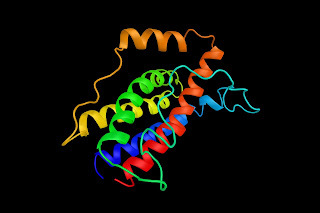 In this way, Russellian monists can explain the perennial failure of physical science to explain consciousness, without turning to the dualist view that consciousness is beyond the physical realm. The result is an elegant middle way between physicalism and dualism, which retains the attractions of each whilst avoiding their problems. 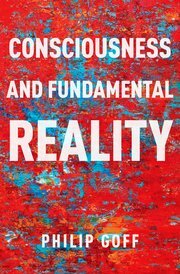 In my recently published book Consciousness and Fundamental Reality, I bring together and critically evaluate much of the wealth of recent literature that has been published on Russellian monism, before defending a distinctive form of the view. 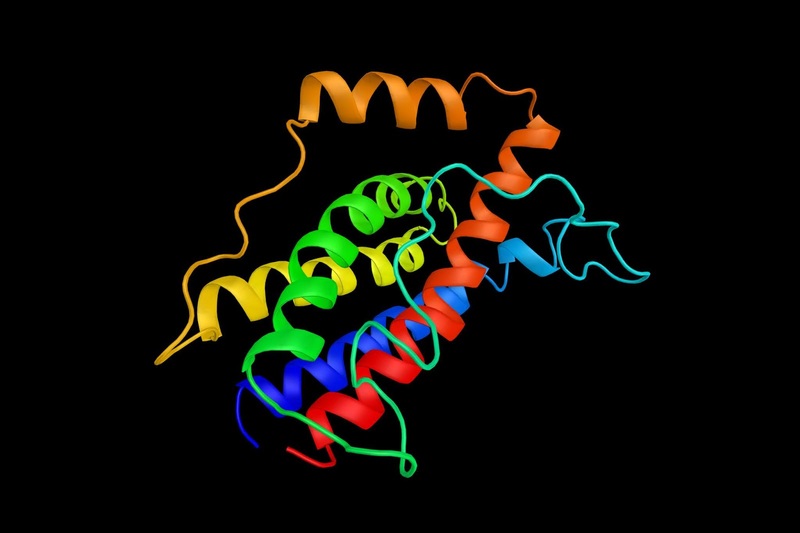 Russellian monism is more of a general framework than a completed theory, and it will take decades of interdisciplinary work to fill in the details. To set things in motion, I have, since finishing my academic book, spent a lot of time trying to reach out to a broader audience: scientists as well as the general public. I have published a number of popular articles and encyclopedia pieces on the topic, and I am currently writing a book aimed at a general audience, Galileo’s Error: A Manifesto for a New Science of Consciousness, which will be published in August 2019 (Rider in UK, Pantheon in US). I am very grateful to all the people who have worked hard during this time to keep the blog active and engaging: Ema Sullivan-Bissett, Kathy Puddifoot, Andrea Polonioli, Sophie Stammers, Magdalena Antrobus, Valeria Motta, and Anneli Jefferson. 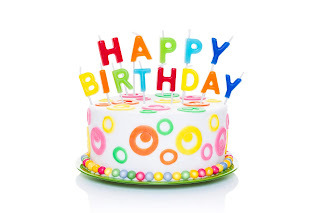 And special thanks to our regular contributors and assiduous readers. On the 5th birthday of the Imperfect Cognitions blog Michael Larkin (Aston University) considers some conceptual propositions of the Power Threat Meaning framework, arguing that the framework is both a step towards a more humanising concept of mental health problems, and a missed opportunity to be more inclusive. 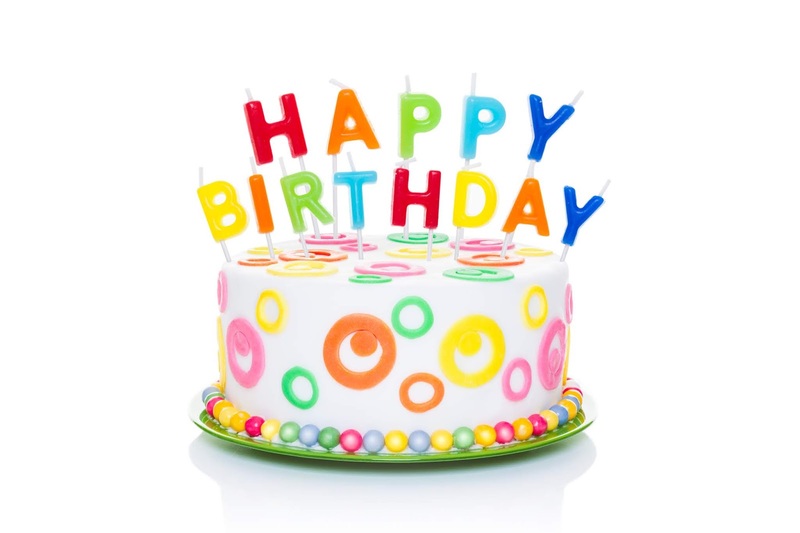 Enjoy this very rich and thought-provoking celebratory post! Often we are disappointed because we want the thing presented to us to be the thing we hoped to receive, and not the thing that someone else wanted to give to us. The Power Threat Meaning framework (PTM) is a manifesto for thinking differently about mental health. It has been produced by a relatively large working group, co-ordinated by two lead authors (Lucy Johnstone and Mary Boyle). The framework is described in two documents (a ‘short’ and a ‘long’ version). Both of them are actually very long. To me, they have the feel of being unfinished: there are contradictions and omissions; there are claims which seem overstated or inflammatory. At the same time, the document has some aims, sources and insights which speak very directly to some of my own thoughts and priorities about mental health. It involves some contributors whose work I admire very much. It is a conundrum. I’ve spent a bit of time thinking about this conundrum, and more specifically, what we might want to notice about it from a conceptual point of view, because this is a blog which is concerned with conceptual things. To get to that conceptual material, we need to first notice some context. Something which anyone following mental health on social media will have noticed is that the PTM has been very effective as a means of generating... activity. I’m not sure that it is quite clear what that activity should be called. If we were feeling generous, we might call it a debate: an exchange of views, certainly, but rarely in the spirit of progress towards some sort of accommodation of positions. There is a lot of talk. It seems like there is some constructive debate within this talk, but also a lot of entrenchment. There are 'sides', sadly, and the entrenchment is evident on both of them. From a conceptual point of view, I think we should treat the PTM as a proposition, and that what should follow is a series of conversations about the validity of that proposition, and whether it can be supported. If it can, what are the implications? If not, how should it be revised? To edge us towards that point, it may be useful to consider some of the areas of disagreement around the PTM, and the questions and claims which are raised about it. It’s representing the British Psychological Society. It’s representing the way that psychologists will work in future. It isn’t a policy of the BPS; the framework has been produced by a working group; the working group have received some funding from the BPS. This doesn’t make it an official policy. The BPS funds a range of projects and activities. Some psychologists have been very positive about the PTM; some have not. Many more will be completely unaware of it. It is difficult to see how it will shape practice (see below) in its current iteration. The two lead authors are psychologists. Several experts-by-experience have contributed to the development of the framework. Many experts-by-experience have since come forward to say that they feel very positive about the framework; many others have come forward to say the opposite. There is a substantive conceptual problem in the PTM which underpins this division in one of its core audiences, so let’s consider that next. A workshop, entitled “Exploring Culture and Experience: choosing methodologies in qualitative research”, took place at Aston University on the 26th of April 2018. This brief report is written by two of the organisers, William Day (graduate teaching assistant/PhD student in Psychology at Aston) and Tiago Moutela (research assistant/PhD student at Aston). Most of the talks were recorded, and are linked to at the end this write-up. This workshop was organised by members of the interdisciplinary, interuniversity, group Phenomenology of Health and Relationships (PHaR). PHaR meets bi-monthly at Aston University to read, discuss and share insights into any work which brings a phenomenological focus to the study of health and illness. We are especially interested in understanding the relational context of health and illness, and what we might call a 'health relationship.' Together, some members of PHaR successfully submitted an application to a workshop fund ran by the Psychology Postgraduate Affairs Group (PsyPAG). We had hoped that the rather ‘broad’ scope of the workshop’s focus would enable both the speakers and workshop attendees the freedom and space to talk about their own research, and research interests; whilst exploring the possibilities offered by new and ‘innovative’ ways of collecting and presenting data. Although rooted in psychology, we intended to continue the interdisciplinary ethos of PHaR. As such, delegates from a variety of backgrounds attended including optometry, philosophy and the local police force. Opening the day, in a talk titled “foregrounding context in qualitative research”, Dr Michael Larkin (Aston University) drew upon a wealth of examples (his son’s spatial explorations of a car being the, perhaps, most memorable) to explain how and why context in qualitative research is the topic of interest rather than a ‘thing’ to be excluded and controlled for. Instead, we should think creatively about how to access the relationship between an individual and their world; how different types of data can bring the different aspects of these relationships to the foreground. The second talk of the day was by Dr Sarah Seymour-Smith (Nottingham Trent University): “a synthetic discursive approach: research towards the co-production of a prostate cancer mobile application for African Caribbean men”. Speaking candidly about her experiences of data collection, Sarah explored the affect of her status as an ‘outsider’ within a community involved project. Of particular interest were issues experienced around dissemination, where participants actively wanted to be named and credited for their involvement in the project, and responses to perceived positioning (concerns that African Caribbean men were understood as being “homophobic”). Before lunch we embraced some disciplinary clichés and handed out post-it notes. Attendees were encouraged to briefly write about methodological issues they would like to discuss, before sticking the post-it notes to adjacent walls and finding likeminded individuals. Despite some passing logistical mysteries, the exercise worked well as an ‘ice breaker’: described by one of the delegates as “an academic speed dating event”. Today's post is written by Kenny Easwaran, who is an Associate Professor in the Department of Philosophy at Texas A&M University. He received his PhD in 2008 from the Group in Logic and Methodology of Science at UC Berkeley, doing interdisciplinary work on the mathematics and philosophy of conditional probability. This paper considers three broad accounts of the role belief and related notions play in our lives, and suggests connections between them, and the way that different philosophical literatures have privileged one or another. My focus has been on work in epistemology within the analytic tradition, though there is some interactions with psychology, economics, statistics, and other fields, and I hope the typology I draw can be illuminating to people in other traditions. The starting point is the observation that belief is not a completely unconstrained activity (like imagination or supposition) but instead has some substantive notion of correctness or value. The classification I give is based on whether the goodness of a belief consists in properly following the evidence (or other "upstream" considerations of how the belief was formed), or whether the goodness of a belief consists in it effectively guiding actions to achieve one's other desires (or other "downstream" roles of how the belief is used), or whether the goodness of a belief consists in accurately representing the world (or any other "static" consideration that is neither properly upstream nor downstream). I suggest that the history of mainstream analytic epistemology traces a pattern from the upstream considerations, through static ones, to a contemporary rising interest in downstream ones, while the history of formal epistemology moves from a focus on downstream considerations through static ones, to a contemporary growth of interest in upstream ones. Joëlle Proust is an Emeritus CNRS Director of Research at Institut Jean-Nicod, Ecole Normale Supérieure, in Paris. 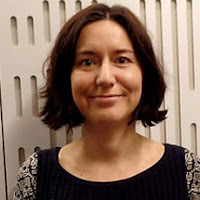 She published The Philosophy of Metacognition in 2013, and co-edited in 2012 a collective volume entitled The Foundations of Metacognition. 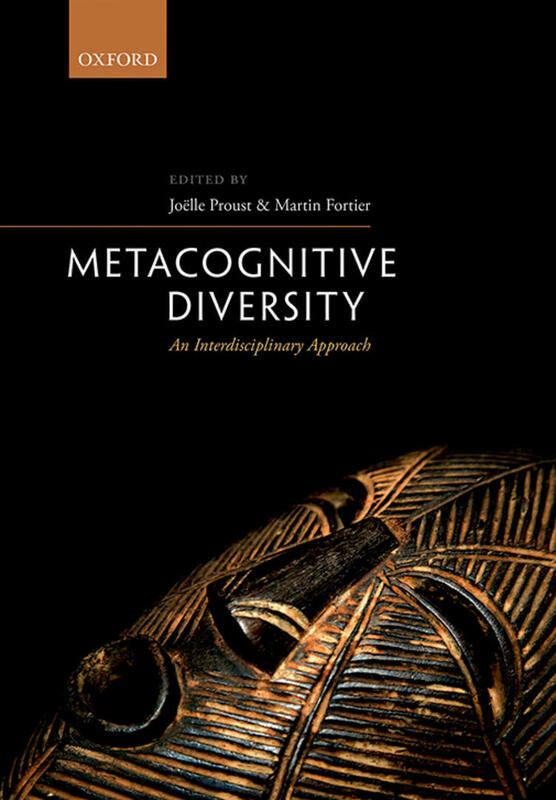 In this post, she presents a new collective book co-edited with Martin Fortier, Metacognitive Diversity: Interdisciplinary approaches. The control and monitoring of one's own cognitive actions is called "metacognition". For example, try to remember Mark Twain's original surname. If you fail to retrieve it immediately, you may have the feeling that you will soon do: you have a "feeling of knowing". Other metacognitive feelings include the feeling of familiarity (when seeing a face), of understanding (an utterance), of being right (in drawing a conclusion) – with their negative versions: unfamiliarity, puzzlement, feeling of error. Other feelings lead you to decide whether or not to perform a task as a function of its apparent ease or difficulty. Studying such feelings is an important topic for philosophers of mind, because attempting to articulate a state of uncertainty with its target belief leads to revise received views about cognitive architecture. Metacognitive feelings also have a central relevance to epistemology. They raise the question of the nature of the epistemic norms that regulate our feelings of knowing, of understanding, of clearly perceiving an object, and of the role of affect in rationality. Because metacognitive feelings guide our judgments about what seems true, interesting, cognitively easy to do, (or about what seems boring, incoherent or too difficult for us), they play a considerable role in our daily lives as well as in our epistemic practices. Western philosophers until now have tended to assume that the intuitions they have concerning the meaning of concepts are universally shared across cultures. This assumption is foundational for much of the work conducted in analytic philosophy. Similarly, cognitive scientists have tended to assume that participants in experi¬mental paradigms belonging to Western, Educated, Industrialized, Rich, and Democratic societies ( for short: "WEIRD" participants) do not differ, in their way of processing information, from the much larger set of participants who do not belong to the "WEIRD" group. This assumption was proven false in the few domains where it was tested, such as attentional mechanisms and moral cognition. Similarly, in philosophy, conceptual intuitions were found not to be as plainly universal as assumed – but again, few of them have been so far tested across cultures. Quinn Hiroshi Gibson is currently a Teaching Fellow in the Global Perspectives on Society program at New York University Shanghai. He received his PhD in philosophy from the University of California, Berkeley in 2017. He works on the moral psychology of self-deception, addiction, delusion, and other psychiatric disorders. His personal website can be found here. Most other views of self-deception face the difficulty of trying to account for how we get into the self-deceptive state. This is notoriously difficult to do. Three features of the self-deceptive process don’t seem to hang together very well: (1) that it is an intentional process (2) that the ‘self’ that is the agent of the process is unified and (3) that the process yields belief. Other views put pressure on one or more of these features, but often end up harbouring the original difficulty in concealed form. My view says that it is sufficient for self-deception that the agent is guilty of a certain epistemic violation in the maintenance of her belief, so the self-deceptive state does not depend on coming about through some distinctively self-deceptive process at all. This allows us to sidestep these difficulties altogether. Indeed, I think the only way to decisively respond to such difficulties is to sidestep them altogether. (The argument I am able to offer in this paper for the superiority of my view of self-deception over others is necessarily compressed, but a more complete elaboration and defense of the view is available in my 'Self-deception as Omission’, currently under review, but available as a draft here). This post is by José Luis Bermúdez, who is Professor of Philosophy at Texas A&M University. His books include The Paradox of Self-Consciousness (MIT Press, 1998), Thinking without Words (OUP, 2003), Rationality and Decision Theory (OUP, 2009), and Understanding “I”: Language and Thought (OUP, 2017). 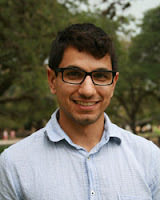 His current projects include the third edition of his textbook Cognitive Science: An Introduction to the Science of the Mind (CUP); and The Power of Frames: New Tools for Rational Thought (to be published by CUP), supported by a fellowship by the American Association of Learned Societies for the 2018-2019 academic year and a National Endowment for the Humanities Summer Stipend for 2018. 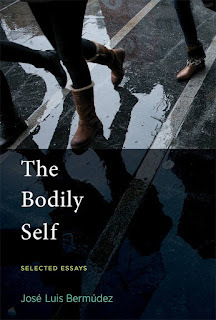 In this post he presents his new book: The Bodily Self. 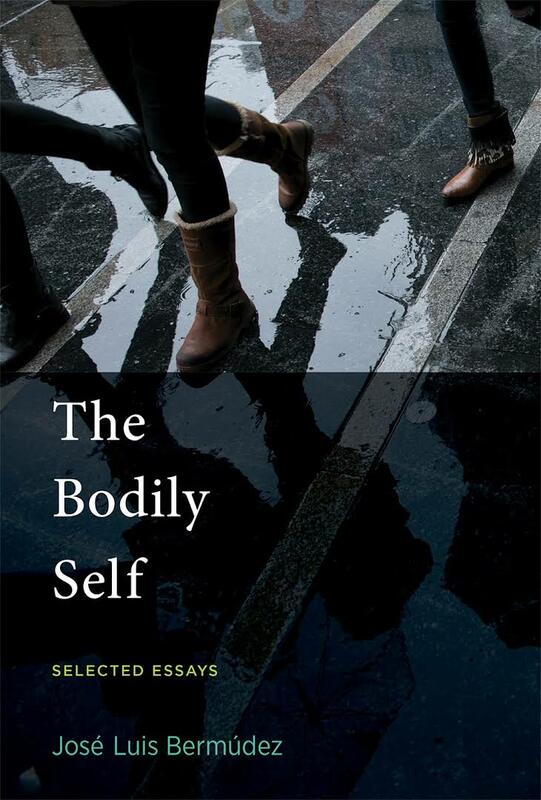 The Bodily Self contains a selection of essays on self-consciousness and bodily awareness written over the two decades since The Paradox of Self-Consciousness came out in 1998. All of the papers have been revised, some extensively so, and one appears here for the first time. The Introduction draws out the principal themes running through the volume, and an Afterword points to new directions. For many philosophers, self-consciousness is closely tied to language. Think of Kant, for example, and “the ‘I think’ that accompanies all my representations”. For Kant, to be conscious of oneself is to be capable of thinking about oneself in a special way. Kant, like many others, took that special way of thinking of oneself to be coeval with the ability to refer to oneself using the first person pronoun “I” (or its equivalent in other languages). Today’s post is provided by Project PERFECT Research Fellow Katherine Puddifoot. It introduces the argument of the paper “Epistemic innocence and the production of false memory beliefs” co-authored with Project P.I. 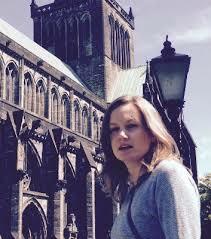 Lisa Bortolotti and available open access in Philosophical Studies. Suppose that your friend tells you an anecdote at a dinner party. She honestly claims to be describing her personal experience but includes details that you told to her after the event. Imagine that your colleague tells you that Tim was at a meeting when he was not but all of the other members of his team were there. Suppose that your brother tells you that he overheard a really good joke on the train the other day, but you are confident that what he is describing is a scene from a recently released film that he has watched. You conclude that he must have imagined being in the scene while watching the film and falsely recalled experiencing the imagined event. In each of these cases, a person has made a memory error. They have a false memory belief about an event in the past: misremembering who supplied some information, misremembering someone being in a meeting because others relevantly related to them were, or misremembering that something that was merely imagined really occurred. The errors correspond to three errors commonly discussed in the cognitive science literature: the misinformation effect, the DRM illusion and imagination inflation. A natural response to memory errors of this type is to lower the trust that you place in the person providing the inaccurate information. It is also natural to be pessimistic about whether the person displaying the errors is generally a good source of information, at least about the past. One might conclude on the basis of evidence of memory errors of this type that other people are more likely to be good source of information than the person who made the error. However, in a recent paper by myself and Lisa Bortolotti, we emphasise the bright side of the memory errors. We show how research from the cognitive sciences implies that the memory errors are the result of the ordinary operation of cognitive mechanisms that often allow us to gain knowledge and understanding and to utilise the information that we have about the world. Building on the cognitive science, we claim that the cognitive mechanisms that produce the memory errors are epistemically innocent. A cognitive mechanism is epistemically innocent if it brings epistemic costs, preventing the epistemic agent from achieving goals like acquiring new true beliefs, increasing coherence between existing beliefs, gaining and properly using information, but it also brings significant epistemic benefits that would not otherwise be accrued.